The Crow remake can't seem to catch a break. Long in development, it was announced yesterday that acclaimed music video director Corin Hardy had replaced exiting director F. Javier Gutiérrez with a spring start date in place. But the movie may be facing another set back, as Luke Evans prepares to exit the project. "It's not, no. No at the minute The Crow is not, not for me, I think it's a little... I mean I'm sure it's going to go ahead at some point, but I have other projects that are greenlit and ready to go and projects that I'm very interested in and you know, I can't wait much longer! [laughs]"
With the hiring of a new director, Relativity Studios seems serious about getting The Crow in front of cameras by April. But will that be too late? Luke Evans having to exit the project may not come as bad news for some, as his casting has always garnered mixed reviews from fans. Some love the choice, others are simply not moved. No one has ever expressed any real disappointment with Luke Evans, who replaced Bradley Cooper. 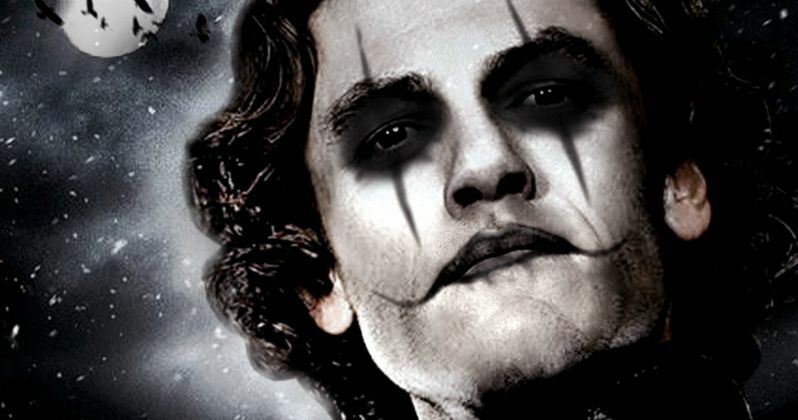 But it looks like someone else may be stepping in to fill the shoes of Eric Draven very soon.